"And you hath he quickened, who were dead in trespasses and sins" (Ephesians 2:1). Every person receives a sinful human nature from his parents as well as a body. 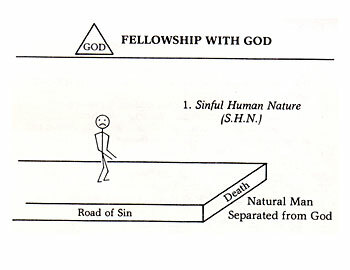 This is why people don't have to be taught to sin and break God's law; it comes naturally because of our sinful nature. 1. 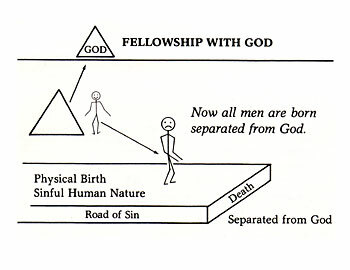 Our sinful human nature separates us from God. A human nature equips us to understand man, but not God. "But the natural man receiveth not the things of the Spirit of God: for they are foolishness unto him: neither can he know them, because they are spiritually discerned" (I Corinthians 2:14). When you are born again, you are born into God's family and you receive God's nature. Until then, you are separated from God.